A big thank you to our supporters, Moto in the Community, for their generous donation of books for our Y6 leavers. Moto have supported the school for the last 3 years and have contributed to our school library, school gardens and subscription to a School Improvement Tool for our Senior Leaders. We are very grateful to Matt Stringfellow, Manager for Trowell Services Moto for his support of our school. 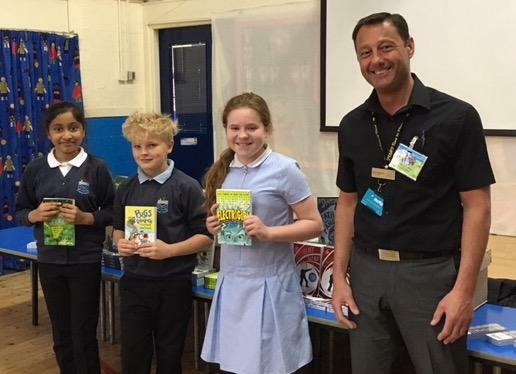 The photo below shows Matt presenting the books to our Y6 at our the assembly on 15th May 2017.